A Christopher Nolan movie is always an event, even if it’s a relatively straightforward event like Dunkirk, and now the Nolan hype machine is getting up and running again for whatever his next feature film will be. 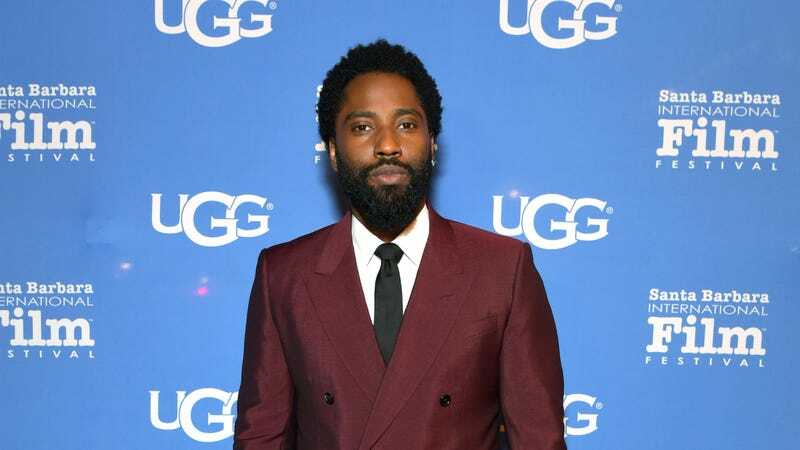 We heard a while back that the movie will be released in July of 2020, and now we know something else: According to Variety, the film will star BlacKkKlansman’s John David Washington in a role that we, of course, know nothing about. Is he a World War II soldier? Is he an astronaut traveling through time to the dimension behind his daughter’s bookshelf? Is he a Batman? Or, in a move that we like to call “the prestige,” is he actually a clone of himself who will be dropped into a tank of water in a desperate attempt to be the world’s greatest magician? We have no idea, so he could be any one of those things, but those random examples do all seem like the sort of things Nolan has done before. Interestingly, though, Variety’s sources have some theories about what Nolan is planning, with some rumors suggesting that it’s “a romantic thriller in the vein of 1959's North By Northwest. Insiders have apparently denied that, though, with another source saying it’s “a massive, innovative, action blockbuster.” That seems kind of stupidly obvious, like predicting that the movie will feature Michael Caine and/or Tom Hardy, but at least it narrows this thing down a little bit. We can safely assume, for example, that it won’t be a quiet, character-driven drama or… a documentary? Maybe? Yeah, this is really not much to go off of. For all we know it could be a Marvel movie.